Positive Detroit: Cranbrook Institute of Science Invites Adults To Camp After Dark This Thursday! 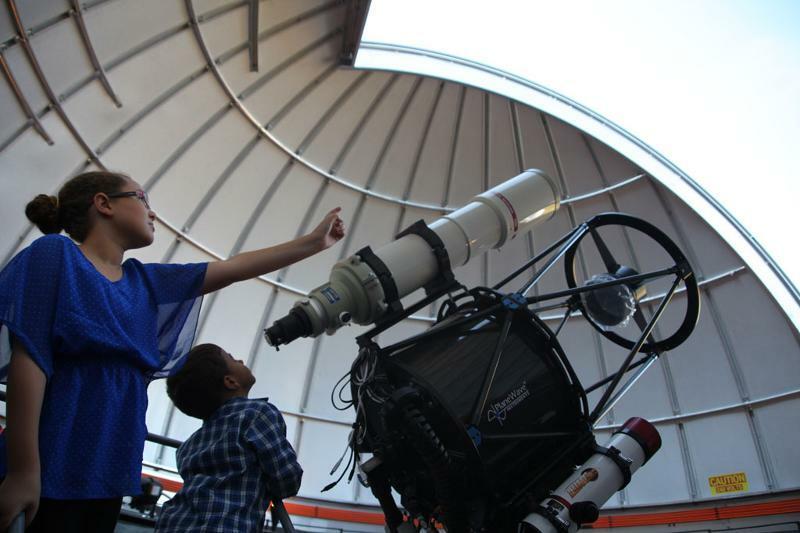 Cranbrook Institute of Science Invites Adults To Camp After Dark This Thursday! Cranbrook Institute of Science invites adults 21 and over to experience a night of camp at the museum on Thursday, June 25 from 7-11 p.m. when its CIS After Dark program presents Camp After Dark. Who says kids get to have all the summer fun? The Institute will blend well-loved summer camp activities with well-mixed cocktails and experiences for a-not-so traditional camp “After Dark” at the museum. Guests will gather around the campfire for ghost stories (weather permitting), spit watermelon seeds, dissect owl pellets, race boats in the reflecting pool, stay dry (hopefully) in a water balloon toss, and practice their Native American hunting skills. Crafts, games, walks on Cranbrook’s campus looking for bats, and science experiments make Camp After Dark the ultimate grown-up escape. Classic summer cocktails, craft beers, and food, including a “walking taco,” will be available for purchase in Reflections Café. A vendor market offers the chance to shop, taste, and buy. Preregistered tickets are $10 for Institute of Science Members and $15 for non-Members, or $20 at the door for all attendees. CIS After Dark events are age 21+ only. All attendees will be required to show their Government-Issued ID upon check in. Cash bar only. No credit cards. CIS After Dark is a series of science and fun events at Cranbrook institute of Science for adults 21+. Each event highlights a different thematic topic and the opportunity to explore the museum after dark to meet imaginative scientists, artists, thinkers, and tinkerers. Guests participate in live demonstrations, enticing conversations, engaging activities, new experiences, and more. CIS After Dark is much more than the field trips you knew growing up! Cranbrook Institute of Science, Michigan’s Museum of Natural History, is part of the world-renowned Cranbrook Educational Community at 39221 Woodward Avenue in Bloomfield Hills, Michigan. The museum is open Tuesdays-Thursdays 10 a.m.-5 p.m., Fridays and Saturdays 10 a.m.-10 p.m., and Sundays noon-4 p.m. Regular admission is $13 for adults and $9.50 for children 2-12 and senior citizens (65+); children under 2 and members are admitted free. Courtesy of MASCO Corporation Foundation, admission is free after 5 p.m. on the first Friday of each month. Other Fridays and all Saturdays after 5 p.m. admission is reduced to $6.50 for adults and $5.50 for children 2-12 and senior citizens; children under 2 and members are admitted free. For information about becoming a member of Cranbrook Institute of Science, call (248) 645-3200 or visit http://science.cranbrook.edu.